Patrick Young is currently in 12th grade at Western Sierra Collegiate Academy in Rocklin, California. Academics are important to him, he maintains a grade point average of 4.0 and above, and consistently receives straight "A"s, principal's honor roll, and had skipped a grade level in both Math and Science. He has learned Chinese Language and Chinese Culture from both his family and the Chinese school he attended since age 5. Violin - Plays for certified merit (CM) and previously played in orchestras. Basketball - Played for 4 years, played in AAU and plays for the school team. DECA (Club) - Is an executive officer of DECA's Western Sierra chapter. 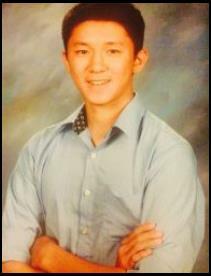 Andrew Gao is currently a 9th grade student at Rocklin High School in Rocklin, California. Andrew was born in the United States and he grew up speaking both English and Mandarin. Andrew is a patient and compassionate person who is willing to take time to help others. In school he is in the Advanced Language Arts class. He has consistently received the maximum grade point average and Principle’s Honor Roll Award. Piano - Enjoy listening to music and playing the piano. 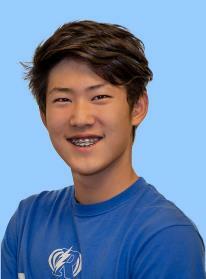 Swimming - Competitive swimmer and has been named Top 100 in 2017 in the United States. Has competed in the National Youth Swimming Championships at Wuxi, China where he received 2nd and 3rd honors. Speech and Debate - participates in his school’s Speech and Debate team and Science Olympiad team. Math Olympiad - Received “National Distinguished” awards.